Just picked up lunch at Silverlake Wine Co. 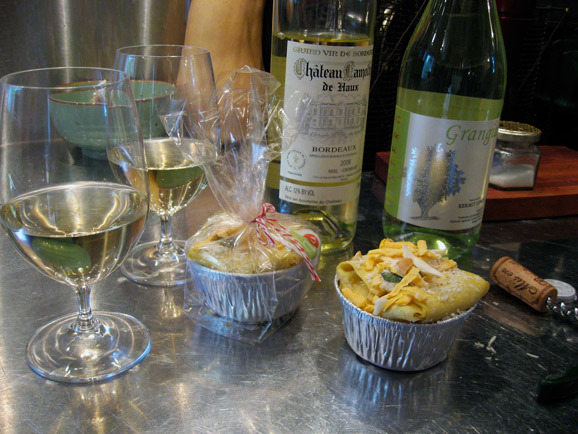 Yes, of course you can buy lunch at a wine shop. How great looking are those two little Smoked Mac n’ Cheese lasagnas from heirloomLA? We’re thinking they’re going to be a great match with the white Bordeaux from Chateau Lamothe de Haux. And, if not, we bought an extra bottle for backup: Tintero Grangia. Cheers. Looks great! Have a great time in NYC!